Interior design, like fashion, goes through many phases of style, sometimes revisiting those from previous decades (or centuries). Since the US is pretty young, many of our styles come from the various styles developed over time in European regions. While an interior designer may understand the different styles and techniques used, homeowners may not be as well versed into where they come from, what the styles are like, and how the motifs symbolize a particular time in history. So what are the different styles of European-based interior design? After the renaissance, the Baroque-style became popular throughout Europe. An Italian style, it spread into other countries include France, as it was famously used in the Palace of Versailles. The style includes the use of colored marble, stained glass, painted ceilings, and various forms of twisted columns. As an example, bookcases were beginning to be made in the structure of rooms, rather than free-standing, which were considered elaborate and lavish, often including marble columns and very intricate designs. 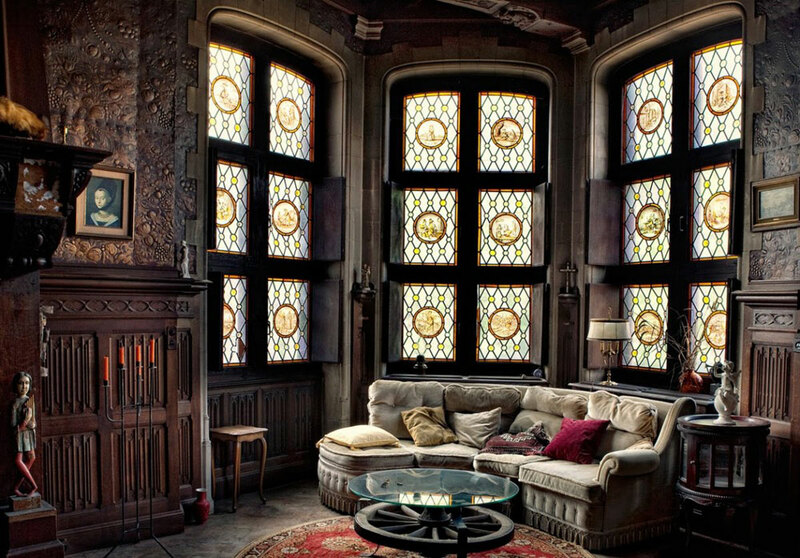 Glasses being used in windows and ceilings were enlarged, bigger than ever before, including elaborate framing, and would often include multiple panes of colorful pieces. One of the most notable trends with Baroque-style interior design was the use of gilded frames. They were frequently paired with paintings and mirrors as well as tables and cabinetry. The details on gilded frames often included carved flowers and sculptured figures. In the early 17th century, an emphasis was made on large rooms, with elaborate decorations, most often seen in royal court. The combination of a matured monarchy system and more advanced architectural design allowed for the lavish life of the King and his courtiers. Stairs were large and spacious, emboldening the entrance of large rooms that were big enough to include decorative and intricate furniture as well as space for the King’s court and events. At this point in time, the styles in Europe began to deviate more than from previous eras. As they were populating low-rent areas, there were fewer opportunities for acquiring the furnishings that more affluent neighborhoods were able to purchase. Because the neighborhoods that artists began occupying were primarily “Romani” (or Gypsy), they were attracted to the styles and designs that were in use in those areas. Lower in cost yet delightful in colors and arrangements, these artists found that the design styles of the Romani were expressive of their own imaginations. This created an association between the artists and the wandering Gypsies, giving birth to the Bohemian counter-culture, which was more of a lifestyle than any type of nationality. (thedesigntabloid). In the beginning of the 20th century, there was a large interest in reproducing period styles in previous eras. As the interest and demand grew, manufacturers and wholesalers began providing solutions in recreating furniture and designs from these eras, resulting in not only a reproduction of design styles, but a new mix of styles that created a fusion. As technology advanced, so did the need for simplicity. Interest in simplistic and modern design began to coalesce, creating new trends for the masses as well as design schools. These ultimately evolved into the intentional forms of minimalist designs, focusing on elegance using the fewest amount of pieces necessary. Although we’ve mentioned several interior design styles, there many more that have come from each era and each country, most of which we haven’t covered here. We’ve covered only a subset of the most popular ones, as they tend to be easier to recognize and many of our design styles today derive from them. Leave a comment if there are any particular interior design styles you’d like to learn more about or for us to cover. Remember to check back on Modernhouse-Plans.Com to find out latest updates and learn more about interior and exterior architecture.